María Verónica San Martín, from In Their Memory: Human Rights Violation in Chile, 1973–1990 (2012), silkscreen, digital print. San Martín is a Chilean born, Brooklyn-based artist currently working in printmaking, artists’ books, installation, sculpture, and performance (photo by Denny Henry). 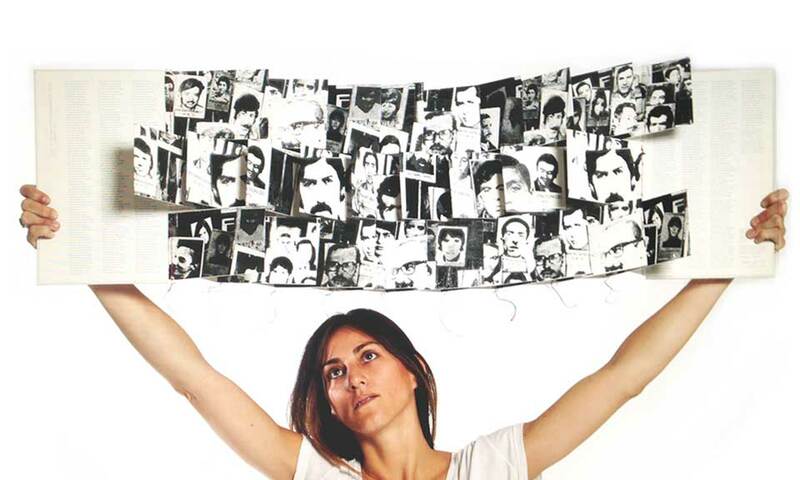 In Their Memory is a book of resistance that carries forward the protest begun by the families of the disappeared in Chile during the military dictatorship (1973–1990). Reproduced by permission of the artist. Author’s note: Five years ago Chile was commemorating the fortieth anniversary of its own 9/11. I was living in the States by then, and as a writer I was seriously considering what had been my contribution to the remembrance of the tragic and bloody events that took place in my country from September 11, 1973 on. I could see how the Chilean media had been over flooded with documentaries, special programs about the coup and the years of the dictatorship, and also witness how images we thought were lost, surfaced with a part of history that had been resistant to oblivion. I told my friend and peer, the poet Frank Sherlock, about this, and during a trip to Washington, talking with the cab driver about the assassination of Orlando Letelier in 1976, we agreed we should write something about it, but something from within. We became obsessed with the figure of Michael Townley, an American citizen member of the Chilean secret police who, after being in the US federal witness protection program, was now free and living as a prominent businessman somewhere in Florida. We thought of calling every single Michael Townley in the directory. Then we became obsessed with the figure of his wife, Mariana Callejas, an agent too and a writer, who organized literary salons in the very same house where people were tortured. Then we were drawn to the house and its accounts, because as Frank once wrote, as artists creating in the United States, we are in the house. On my violin that sings out of tune / my violin declares / I love you, I love my double bass / my heart, my teeth, / my light and my spoon, / my salt of the dim week, / my clear windowpane moon. by the scream that occurs between the silence? On September 21, Orlando Letelier del Solar (economist, socialist politician, diplomat and leader of the Chilean opposition), his assistant Ronni Moffitt, and her husband Michael were in a car on their way to work. Letelier was driving the vehicle, Ronni was in the front passenger seat and Michael was in the back seat. As they rounded Sheridan Circle on Embassy Row at 9:35 a.m., a bomb exploded underneath the car, lifting it off the ground. Letelier was immediately killed and Ronni Moffitt died shortly thereafter at a nearby hospital. Investigators determined that the blast was caused by plastic explosives, molded to concentrate the force of its impact into the driver seat. The bomb was attached by wires or magnets to the car’s underside and blew a circular hole, 2 to 2½ feet in diameter in the driver’s seat. A memorial to them sits across from Sheridan Circle. Carlos Soto Román (Valparaiso, Chile) is a pharmacist, poet, and translator. He holds a master’s degree in bioethics from the University of Pennsylvania. 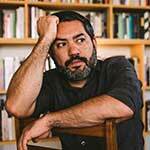 He has published in Chile: La Marcha de los Quiltros (1999), Haikú Minero (2007), Cambio y Fuera (2009), and 11 (2017). He resided in Philadelphia, PA, where he was a member of the New Philadelphia Poets, student of the Jack Kerouac School of Disembodied Poetics at Naropa University, and also was a MacDowell fellow. 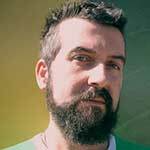 In the United States he published: Philadelphia’s Notebooks (Otoliths, 2011), Chile Project: [Re-Classified] (Gauss PDF, 2013), The Exit Strategy (Belladonna, 2014), Alternative Set of Procedures (Corollary Press, 2014) and Bluff (Commune Editions, 2018). 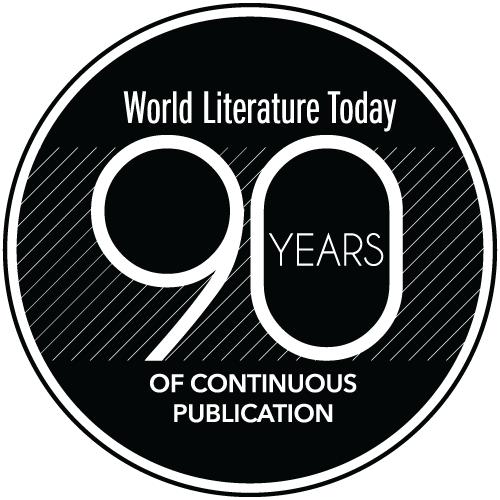 As a translator he has published Do or DIY: Autoedición, Apropiación, Recontextualización y Plagio (Das Kapital, 2013), Bart by Ron Silliman (Cuadro de Tiza, 2014), coffee coffee by Aram Saroyan (Libros del Pez Espiral, 2015), Patriotismo by Ryan Eckes (Libros del Pez Espiral, 2015), Por favor, no más poesía by Derek Beaulieu (Libros del Pez Espiral, 2017), Ciudad Santuario (Das Kapital, 2017) and Diario de Perversidades (Libros del Pez Espiral, 2017), both by Frank Sherlock, and the first translation into Spanish of Charles Reznikoff’s Holocaust (forthcoming 2018). He also was the curator of the cooperative anthology of US poetry Elective Affinities.